Tania Marshall is a psychologist and author. differences between girls and boys with Asperger’s. “Females tend to show better social behaviours than boys. both nonverbal body language and verbal communication. may not be noticed or they may be “mothered”. mimicking, imitating and copying others, including accents. people (or as I like to call it a “social hangover”)”. Question – How to cope with Asperger’s teenagers and too many technology options in their world to occupy their mind? Answer – Computers, video games, cell phones, and social media can easily rule the entire existence of a teen with Asperger’s Syndrome. The teen’s intelligence and aptitude for technology will add fuel to the already increasing problem of multimedia addiction. Games and social media sites can be addictive for anyone, and all the more so for a teen with Asperger’s and obsessive tendencies. How you choose to handle technology within your family as a parent is your decision. If some form of technology happens to be your child’s special interest, you may have a difficult time with enforcement and attitude. Do what you feel is right for your family. Here are suggestions for basic technology rules within an individual family. * Set limits on how much time, energy, and money you will allow on technology on a daily basis. You may choose to limit overall technology to 1 hour per day, for instance. Alternatively, you may choose to set limits on each individual gadget. One hour per day on the computer, 1 hour per day on the video game console, and 1 hour per day using the cell phone could be your rule. * Reserve the right to monitor all technology. You can request access, such as passwords, for all Internet activity. You can choose to remove any game or gadget of which you do not approve. * Require a certain amount of physical activity each day to counteract all of the time spent on technology activities. Your teen may balk at this idea. However, if this is your requirement, you must stand strong. * Require your teen to engage in reading and writing activities on a regular basis. Nothing beats reading a good, old-fashioned novel every now and then. * Introduce hobbies that fall outside the realm of high tech gadgetry. This will allow your teen to stretch his intelligence a bit. Physical hobbies like golf, tennis, or Tai Kwando are possible choices. Other hobbies like photography, music, or sewing are also ideas you can suggest. * Allow additional time for good behavior. Reinforce your technology rules by rewarding everyone who follows the house rules. This will increase the chances of success. It is important to remember that the world is now technology-based. Your child with Asperger’s Syndrome is not the only teen addicted to technology. You seldom see a teen these days who is not talking or texting on a cell phone. If you make reasonable rules and are consistent to uphold them, you should be able to cope with your teen’s use of technology. Most emails I send out about teachers and schools DO deal with negative problems. Mainly because this is the type of feedback and questions I get from parents. I get a few – but very little – messages saying what a great job there school is doing. This could be because people with good schools don’t feel the need to email me . . . as they don’t need help in this regard. So the picture may be skewed. I would love to hear your views, to help me better understand. So please add your comments below . . .
How do I become more consistent as a parent? People tell me I need to be more consistent in my parenting to my child with Asperger’s. How can I do this? Being the parent of a child on the Autism spectrum is a tough job. There is nothing more demanding than the need to rediscover what it means to parent a child. 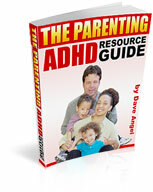 There are some differences in parenting a child with ASD. However, all children need consistent parenting to grow and develop into well-rounded individuals. Consistent parenting basically means having a plan and sticking to it. You decide the rules of your home and the way things are done, and then you enforce those rules. This type of parenting should be used with all children. The difference in your home will be in how you develop your parenting plan and the manner in which you decide to execute. Here are a few things you might want to consider including in your parenting plan. Children on the Autism spectrum usually react positively to rules. Rules are concrete and are made to be followed. Instructions tend to change over time, are wordy, and can be overwhelming. Allow your child additional time to transition. Advanced notice for routine schedule changes will help prevent a meltdown. Use of a visual timer can also help create a sense of structure and order. When you discipline your child, be sure to use simple one-step commands in straightforward language. Do not use sarcasm or other complicated language. Your child is more likely to do as you ask if he understands what you want. These charts use pictures to show what will happen in a given time frame. For example, first, he must make his bed, and then he can have a snack. You can also use an If, Then chart for discipline. If he does not make his bed, then he gets no snack. A visual or picture schedule can make the household rules even easier to follow. With a glance at the chart, your child will know what comes next and what will happen later. He will know exactly what you expect of him. Pair this chart with the visual schedule and your child will have a visual reminder of the rules, your expectations, and the consequences if he fails to follow through. Developing a parenting plan that has specific rules, actions, penalties, and reactions will give you the confidence you need to parent your child consistently. Your reward will be a loving home and a well-balanced child.